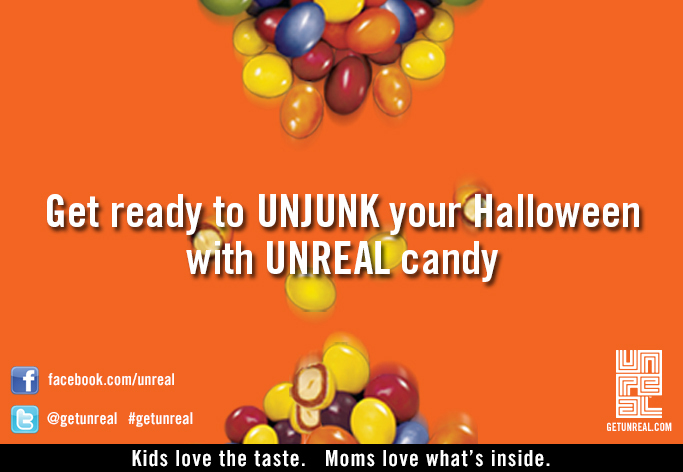 Being Frugal and Making It Work: I'm UnJunking Halloween Candy with UnReal Chocolate! 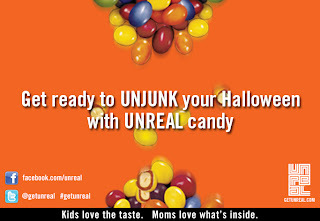 I'm UnJunking Halloween Candy with UnReal Chocolate! Chocolate has always been a weakness of mine. I'll admit that just about anything tastes better with chocolate! However, I will also admit that I try to limit the amount of sweets we eat, especially my children. That being said, we love chocolate and have a drawer full in our fridge. So... you can imagine how thrilled I was when I heard about UNREAL chocolate candy. Much like all of our favorites but without all the junk - including fewer calories and less sugar. As a mom (who is also on a diet), I can't resist a healthier candy for my family! "This is delicious, where did you get it?" "Do you mind if I take a couple more?" "Healthy chocolate, it doesn't get any better!" The chocolate drawer in our house has officially been UNJUNKED! 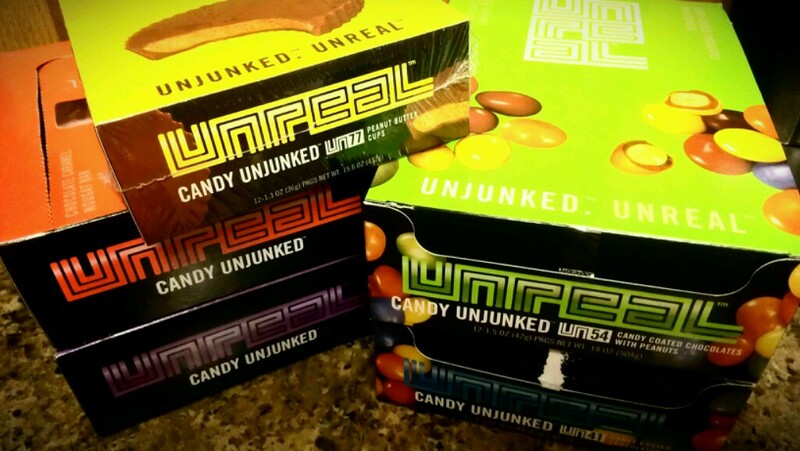 Disclaimer: I received complimentary UnReal candy for the purpose of writing a review and hosting a house party. Regardless, I only recommend products or services I use personally and/or believe will be a good fit for my readers. The views and opinions expressed on this blog are purely my own. Results may vary. These sound great! I'm a sucker for Payday bars, which I guess is a lesser evil, but still no bueno. We're trying to cut out junky foods from our diets, so Unreal candy sounds yummy!